Android tablets are known for their customization, paired with a stylus they can become a very powerful drawing and note-taking tool. 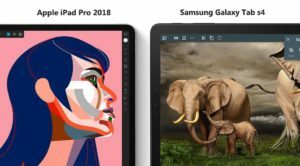 An android tablet may not have been an ideal drawing device five years ago as they were not good enough and lacked key drawing apps. They have come a long way since then. Nowadays Pen tablets come with a very accurate stylus and a whole bunch advanced features. One of the main reason for choosing an Android tablet as your drawing device is the portability. Their battery lasts a long time and they are very convenient to use in places like airplane cabins and travel trips. When you get a generic drawing tablet you get just a box with a screen on which you can draw on. But when you buy a tablet – you get a full-fledged multimedia device. There a lot of drawing tablet in the market but not all of them comes with a pen and not all who support a pen are good. We have made a list of the best android tablets with stylus which will be the multipurpose device you will love to draw on. Android tablets come in various price ranges each having slightly different specs. One of the main things to consider before buying a tablet for making digital art is the screen size. A larger tablet may look like a better choice but you will lose portability at the same time. We have included a detailed buyer guide at the end of this page, which will help you make informed decision. 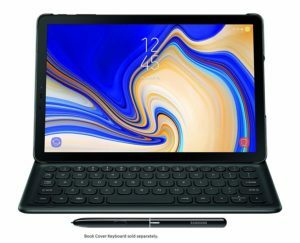 Well, there is no doubt that Samsung galaxy tab S4 is the ultimate tablet android has to offer. It comes with the latest and greatest of what technology has to offer. Talking about the screen, it comes with an AMOLED display made by Samsung itself. Which is the best display you can get in the market. These type of screens are known for their beautiful colors which gives a great multimedia experience. The Samsung tablet comes with the s-pen and resembles a real pen. 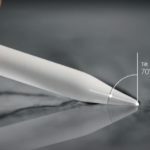 The stylus is slightly thicker than the Apple pencil which makes more comfortable to draw for long hours. It uses the same technology which is used in Wacom pens. There is no battery inside as the pen works on EMR and does not need charging, ever. The pen performs great in terms of line accuracy. There are no weird strokes issues, wobbly lines, and latency which makes it an ideal choice for drawing. There is a single button at the side of the pen. Nibs at the front of the pen is replaceable with spare nibs which is included in the package. The Samsung galaxy tab comes with a unique feature called Samsung Dex which essentially transforms your tablet into a PC. There is also an official keyboard accessory which makes the full use of Samsung dex, it is a good supplement if your work involves a little bit of typing. It comes at a decent price which is fully justified by all the great feature this device has. Huawei is popular for pushing design boundaries and coming with a high-end device with a cheaper price tag. The Huawei Mediapad m5 pro follows the same trend. The device is made for creators and have a lot of great features. It comes with a super high resolution 2560 x 1600p 10.8-inch 280 PPI screen. The bezels around the screen are very thin for maximum productivity. It comes with a pre-included pen with 4096 levels of pressure sensitivity and tilt recognition. The pen works fine in all the application but some apps does not support pressure sensitivity. The pen charging connector is concealed behind the pen clip, which rotates to reveal the connection point. A separate keyboard accessory is also available which plugs with the device using the connector pins at the bottom. The keyboard accessory has a tablet stand at the back which is very handy. The tablet supports the quick charge and has a massive battery which lasts a long time. Overall it is a great Samsung alternative which provides equally good features at a far cheaper price. The top of the line Samsung tablet comes with a hefty price tag which may be a little too much. 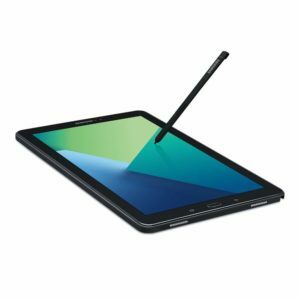 The Samsung Galaxy tab A comes at almost half the price of the Samsung tab s4 but still has most of the things which you will use for writing or drawing. Starting off with the display – the Tab A comes with a 10.1 inch full HD LCD display with bright and vibrant colors. There is a small bezel on all sides of the screen but they are not huge especially for a tablet. The s pen experience is the same what we find in the top of the line Samsung tablets. The strokes are perfect every single time. You may know not all the devices with the stylus are good for taking notes due to smoothing and inconsistent lines but not with this one. If you compare this tablet with the tab s4 than you will find you are not compromising too much. You get an LCD panel instead of AMOLED but the difference is barely noticeable in day to day uses. The second compromise you may be making is in the processor department. But the Tab A is fast enough to smoothly run through all the drawing apps and the latest multiplayer games. In return, you get almost the same size screen and same s pen experience all at half the price which is really great. In a nutshell, it is well worth your money and that is the reason it is one of the most popular tablets on Amazon. Most of the tablet which comes with a saperate keyboard accessory and pen comes at a range of around 500 dollars. Asus Zenpad is a 10.1 inch fullHD android tablet with stylus support which comes at half the price of its compitators. The thin and light tablet has excellent battery life and comes with an Intel processor. Although the internal storage is only 16Gb, the tablet has a micro sd card slot which allows you to expand it further. The tablet has a metal side-trim with a leather-like material at the back to give it a strong, sturdy and professional look. The front panel has gorilla glass for better protection for the screen. The corner and the edges of the device have curved and smoothened edges for a comfortable hold. The screen covers 72% of the front panel which is decent enough for a tablet. The Asus Zenpad comes with a stylus with 1024 levels of pressure sensitivity. The pen looks and feels like a normal pen and can last up to 150 hours on a single charge. The two buttons on the sides are handy and used as a shortcut key in the supported apps. Overall this tablet is a great budget device and comes with everything you need to draw. 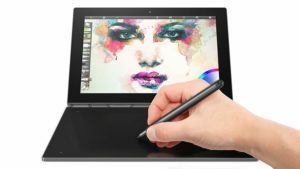 Lenevo yoga book is an intresting device – it looks like an laptop, runs on android and works like a drawing tablet. Holding the device the very forst thing you will notice – how thin and futuristic the device is. It folds down like a laptop using a unique hinge. The hinge allows the device to fold full 180° into a tablet or lay completely flat on the surface. It also acts as a tablet stand to raise the screen at any angle. 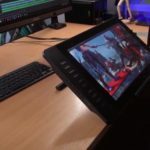 The tablet/laptop has been specially designed for creators. The bottom pad has a backlit touch keyboard for typing. From the click of a single button, the keyboard turns into a writing pad. The included pen can write notes and draw artwork while being accurate and lag free. The device has a 10.1-inch multitouch screen with 1920×1200 pixels. The Intel processor gives it a laptop-grade 2.4 GHz speeds which allow for a lag-free experience. The tablet comes with two main variants – one with Android and another with windows os. For charging it has a micro USB port, other ports include an HDMI port, micro sd card slot and a headphone jack. 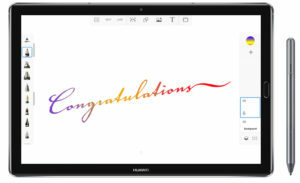 When you buy a drawing tablet, you only get a screen you can write on, but when you buy an android device with stylus you not only get a drawing screen but also a multimedia/ entertainment device which you can take anywhere and use for a wide variety of things. 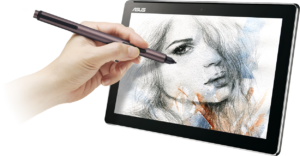 Here are some of the reasons why you should get an android drawing tablet. Customization – It is no secret that Android devices are very customizable. You can make it look and feel exactly as you want it to – using a third party theme. Or maybe you want to record a timelapse of your artwork and your device does not have any tool to do it, you can simply install an application and make it happen. These are just a couple of examples out of many of the openness of Android tablets. External storage – If you are coming from an IOS device then you may find a pleasant surprise. Most of the android tablets mentioned in the list come with a micro sd card slot which allows you to extend your storage. Unlike Ipads they also allow to plug in external storage like pen drives and hard drives without any limitations and features a complete file management system. One of the most important things to know before getting a tablet is to figure out what you actually want. Not all the tablets are same and every single one of them has their own key features. Other than that there are a few other general things to consider which are mentioned below. 10.5 inches is considered an ideal size for a tablet. If you get a bigger tablet you may have to compromise with portability. Similarly, if you go with a smaller screen you will not get enough area to work with. The tablet screen come in two types – LCD and AMOLED. LCD screen mainly comes with cheaper tablets, whereas the AMOLED screens come with higher priced tablets. The AMOLED screens are considered better due to their ability to create perfect black colors which improves the overall quality of colors. 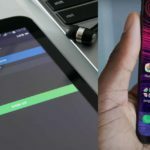 AMOLED screens also consume less power, giving better battery backup. Battery backup is one of the most important features in the tablet. The whole point of getting a tablet is portability. A tablet with poor battery performances really limits their uses – especially outdoor uses. Fast charging is another feature which plays a big role. Tablets have bigger batteries than the smartphones and it can take quite a while to get your device fully juiced up. Fast charging drastically reduces the charging time. One of the most important things you want in your pen is the consistent-reliable strokes. It is very easy to get too fancy and start comparing the pen based on pressure sensitivity or tilt support but if they have basic issues like line jitter than you will have a hard time drawing stuff. The S-Pen which comes with the Samsung devices is great in terms of consistency of lines. Next comes the pressure sensitivity which makes the line thicker or thinner based on the pressure you apply. Some pens come with tilt support but that is only supported in few apps. Many pens come with one or two buttons at the sides which work as a shortcut -mainly uses to switch between pen and eraser and can be very handy. Last but not least – some stylus are active stylus whereas others are the passive stylus. The active stylus have batteries inside which needs to be charged. The passive stylus does not need to be charged and needs no maintenance. Ideally, you want a passive pen where no charging is required – but the active stylus battery can last weeks on a single charge, so both are equally good. Processor – A better processor will make your experience better especially in multitasking. Talking about important things, here is something which is not really important but still brands try to make it one. A thin tablet looks cool and feels nice but after a certain point, it starts to affect the device. You don’t really want a lower battery capacity just to make your tablet look thin. 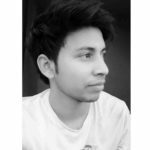 I have experience in Photography and 3D modeling and have worked on a number of projects. I will share with you what I have learned over the years. laminated vs non laminated tablet : What is a laminated display? Get news and updates delivered straight to your Inbox. Essentialpicks is a participant in the Amazon Services LLC Associates Program, an affiliate advertising program designed to provide a means for us to earn fees by linking to Amazon.com and affiliated sites.